Welcome to Origins at Cranston. Nestled into the southeast neighbourhood of Cranston, Origins is a new condo development that features open concept designs meant to reflect the vast surrounding green spaces. If you’re looking for modern, low-maintenance living, with the perfect balance of urban accessibility and open space, this might be just the place for you. 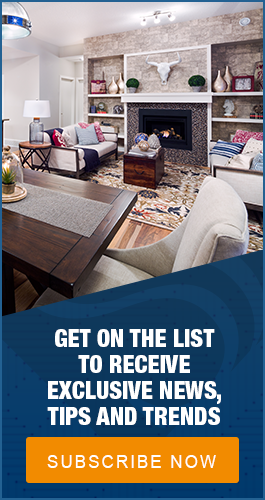 Among the many available floor plans, Origins is now offering the move-in ready Birch model in three layouts, with either a 918 or 928 square foot option. Available immediately, the Birch features an open concept living, dining and kitchen complete with eating bar. It's two bedrooms boast dimensions of approximately 11’ x 10', with the master bedroom featuring a walk-in closet and private three piece ensuite. There's also a good amount of storage space in the home with two linen closets, a generous kitchen pantry plus the front hall closet. 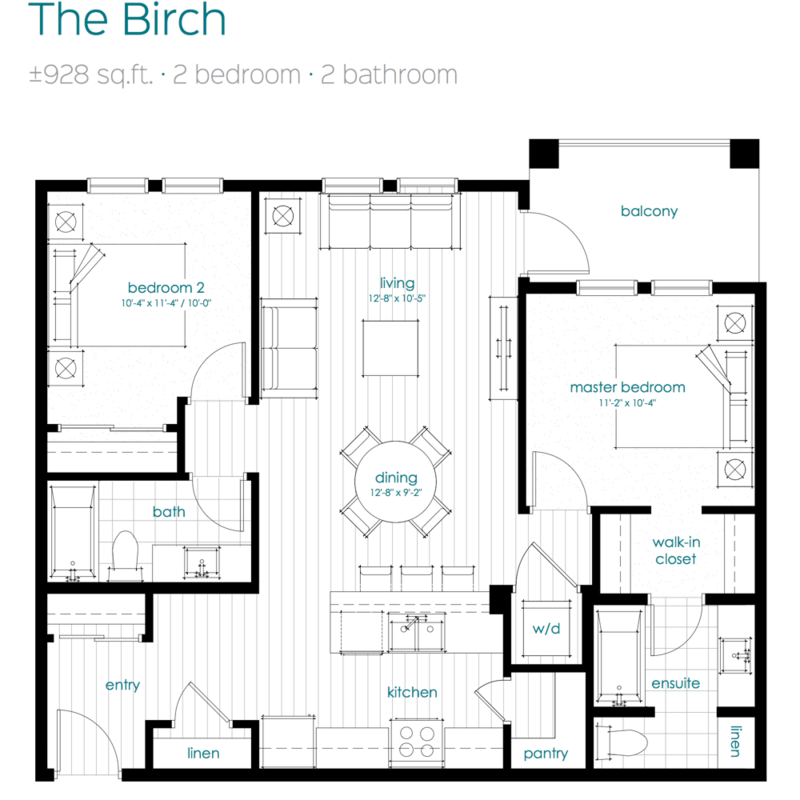 Built for modern living, the Birch displays carefully selected premium features. These include a complete set of stainless steel Whirlpool appliances, flat-panel cabinetry throughout the open concept kitchen, an island with an eating bar, and a tiled kitchen backsplash. What’s more, Origins' Birch model comes with standard 9-foot ceilings making the open concept design feel even more spacious. Top it all off with a personal balcony just outside the living room and there’s little left to be desired. 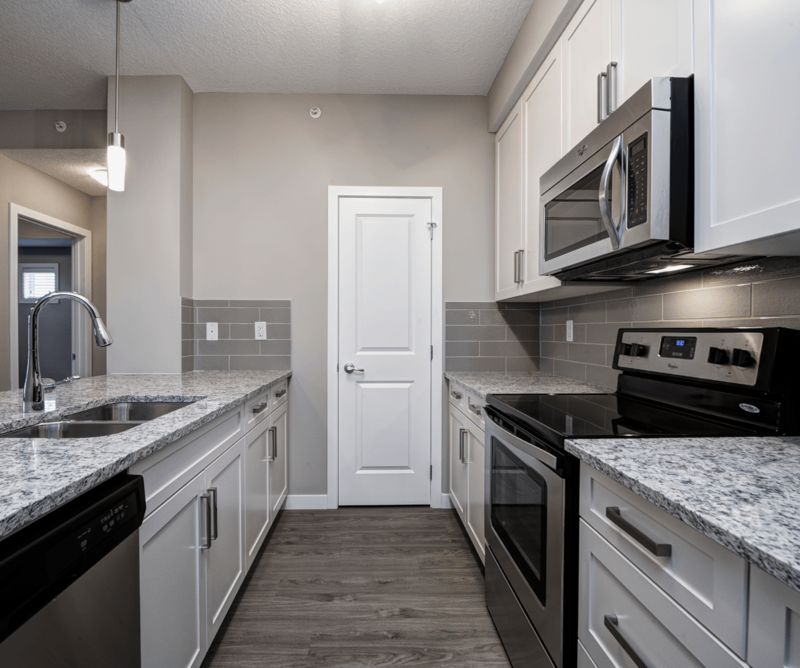 While the standard features are spectacular, designer upgrades such as hardwood flooring, granite or quartz countertops, and a full height tile tub/shower surround are also available, among others. The open concept design of each unit reflects the beautiful neighbourhood that surrounds it. Situated along the Bow River (known for its world-class fly fishing), Cranston borders Fish Creek Provincial Park which is Canada's second largest urban park. The school grounds at Cranston School and Christ The King Catholic School also provide space to walk and play. Whether you’re an avid cycler, runner, or simply enjoy an evening stroll, there are lots of options for walking, biking and getting outside. As a newer neighbourhood surrounded by a number of established communities, Cranston has no shortage of services and day-to-day amenities. Origins is within walking distance of Cranston's fabulous Century Hall community centre and the ever-popular Cranston Market shopping center. Fitness centres, financial agencies, grocers and so on are all within a short drive, as well as the usual box stores such as Superstore and Walmart. Cranston is also close to the South Health Campus as well as other medical and dental clinics. Cranston boasts some of the more reasonable commute times around Calgary with easy access to Deerfoot and Stoney Trails. Public transit into the downtown core is also straightforward. Local bus lines conveniently feed into Calgary’s LRT from nearby Shawnessy. Perhaps the best feature of Origins at Cranston is the low-maintenance lifestyle it provides. All of Origin’s models are easy to maintain inside and out. The exterior is clad with stucco, cement HardiePlank and stone accents for greater durability and interior features such as tile backsplashes, stainless steel appliances and vinyl or hardwood plank flooring are a breeze to keep clean. Best of all, seasonal care including snow removal and landscaping are included in monthly condo fees. It’s low-maintenance living at it’s finest, giving you more time to do the things you love. It’s rare to find a home and neighbourhood that offers a little bit of everything. Origins at Cranston offers a wonderful balance of contemporary living with few demands when it comes to maintenance. 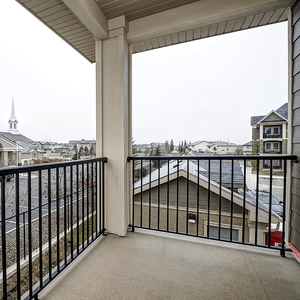 It has urban convenience and connectivity, yet is nearby to parkland and biking trails, golf courses and the beautiful Bow River. Available immediately for possession, the Birch is designed for those seeking contemporary living and a modern lifestyle. Contact us to book your tour of this desirable new model today.